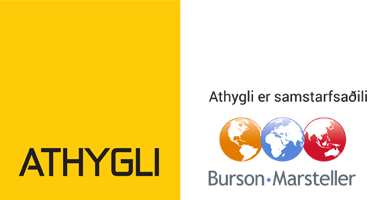 Athygli was established as a public relations company on 15 of March 1989. It is a comprehensive provider of advice, publishing that manages portfolios ranging from companies and interest groups to local government and state organisations. Athygli’s team of consultants has a wide-ranging experience that has helped our clients build and improve their images over the years. Athygli also has a large publishing department, producing a number of magazines, periodicals, and other informational material, both independently and in association with others. The essence of public relations is to protect and strengthen reputation and image through well-directed communication strategies to defined stakeholders. Athygli‘s special field is in assisting companies and organisations to build their image, reputation and trust among stakeholders as well as enhanching their awarness. This is accomplished with strategic communication through appropriate channels. Skilled public relations work is the route for companies and organisations to mould a strong and trusted public image that allows them to develop a stronger business position. Athygli has followed its clients through many a rough sea, offering a clear and unhurried course of action during a difficult period. Media relations during a crises can be especially tricky, and, if improperly handled, can double the negative effect of what could otherwise have been neutralised quickly. In a crisis, we’re the communication experts. This can make all the difference in managing any ensuing coverage. Although a crisis may strike without warning, it never hurts to be well prepared. Athygli can assist you in making a crisis management handbook and toolbox, to prepare for any eventuality. When in crisis, seeking Athygli‘s expert advice is a sensible decision. Compelling content is the essence of good storytelling. Inbound marketing – Content is King. As a PR company the core of our work revolves content creation. Inbound marketing is the essence of PR, through which you attract the customer‘s attention and lay the foundations to a lasting relationship. Social media. Social media is accountable for over 30% of all internet traffic. Athygli has a great insight into the social media landscape in Iceland, supported by a score of successful social media campaigns. We are committed to creating content that engages with the online social media community. Digital marketing. With clever SEO and paid search advertising we make sure that our content has a strong presence within the realms of social media. Athygli has many years of experience in handling the organisation and delivery of public affairs campaigns. These include activities linked to referenda, the amalgamation of local government authorities and fundraising for charitable purposes. Straightforward and clear communication with newsrooms of every media, along with targeted distribution of publicity material and advertising placement, are key elements in public affairs campaigns. Athygli offers a comprehensive package of advice on media relations and we can act as a go-between with both local and overseas media. Our consultants are experts in navigating the media environment with the insight and experience to assess what is most likely to spark media interest in a way that allows us to serve our clients while aiding the media in accurately reflecting current issues. Athygli offers media training for managers and spokespersons that includes instruction on the best information delivery methods to the media, preparation for interviews and techniques for getting key messages across. Do you want to book a meeting?